Hurray! I'm glad it's time for Nightstand. Last month's list was helpful in keeping me focused this past month - which contained a few surprises in family life and schedules. When things were a bit more chaotic it was nice to have a list to refer to, even if I didn't quite get everything read that I wanted to. 1. The Passion of Jesus Christ by John Piper. I'd been reading this as my morning devotional and finished it up a couple of weeks ago. I can't say that anything in particular made a huge impression on me so I opted against reviewing it. It's not a bad book, it just didn't capture me. 2. 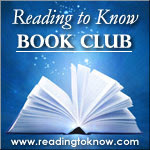 The Little White Horse (linked to review) in conjunction with the Reading to Know Book Club. I didn't care for it but I'm in the minority on that one! 3. 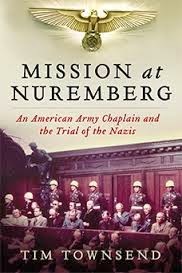 Mission at Nuremberg: An American Army Chaplain and the Trial of the Nazis . Finished it yesterday! AWESOME! Review forthcoming. 5. Gleanings In Genesis . I've been slowly working my way through this one since January. Haven't been able to touch it this month. 6. Giants: Sons of the Gods . I've started it. Fascinating! It's my goal to finish that one up in the next week or so. This coming month holds some long anticipated travels for us so I'll either have limited reading time or more than I expect. Hard to say. 1. Plug away at Teach Me to Pray , by Andrew Murray which is my new morning devotional book. So far it's motivational which is what I was after. 2. Finish Giants: Sons of the Gods . 3. Read My Man Jeeves which is the April selection for the Reading to Know Book Club. If you've never read P.G. Wodehouse before, do try him out this month! I hardly think you'll be disappointed. 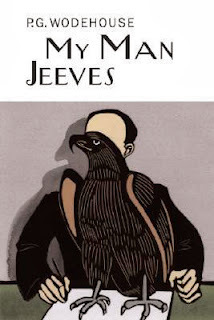 Note: If you've already read My Man Jeeves but would like to try out a different Wodehouse, please be our guest! There is no such thing as a bad Wodehouse. 4. Desiring God, Revised Edition: Meditations of a Christian Hedonist , by John Piper. Some friends of mine and I are going through the Desiring God DVD series this spring and I picked up the book to read alongside it. I need to get going on this title. 5. 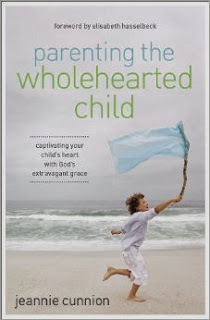 Parenting the Wholehearted Child: Captivating Your Child's Heart with God's Extravagant Grace - Accepted for review. 7. Any number of other titles "just for fun." ;) We shall see. 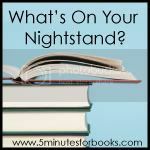 Now comes the fun part.....finding out what's on YOUR nightstand! See who else linked up to participate in this monthly meme over at 5 Minutes for Books. Oh wow! It is that time already! I guess that means I'll have two book posts in a row. ;) Oops! I'm not sure if I should wish you lots of reading time in your travels or less. Speaking of traveling... right now I'm reading The End of Your Life Bookclub and there is a really funny paragraph in there about taking books on trips only to spend the flight reading Skymall. LOL. He was laughing about some of his books having enough frequent flier miles for a trip to Tokyo. When I fly, I generally finish one book, half on the flight out and half on the way back. I rarely read while I'm at my vacation spot, even though I take multiple books JUST IN CASE. Happy reading! I look forward to reading your upcoming reviews! Looking forward to your review of Mission at Nuremberg. That book looks fascinating! We don't travel by air much, but we take a lot of short car trips, and I almost always take a lawful of books. I had forgotten that Wodehouse was up next for bookclub. Maybe I'll finish GWTW sooner rather than later and be able to jump in. After reading The Kitchen Boy I am quite disappointed my libraries don't have any other titles by R.A. They should! Mission at Nuremberg sounds really good. I have not read one of John Piper's books and probably should. I used to read Andrew Murray a lot in my 20s but haven't in a long time. "7. Any number of other titles "just for fun." ;) We shall see." And I also love seeing "Awesome!" and "Fascinating!" because it tells me that it's really good. I've started My Man Jeeves early; I'm enjoying it so far. It's my first Wodehouse. I've never made it past the Kitchen Boy, but I should. Looking forward to your review of Mission at Nuremberg, too. Good luck with Desiring God. I read it years ago and found the first part interesting, but then it began to be a slog. I'll be interested to hear your thoughts on it. 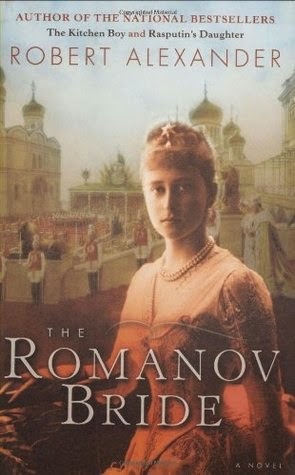 Well you know I'm looking forward to your review of the Romanov Bride. I am so behind on my reviews. Like you, life and schedules, just jump in. I always look forward to seeing what you are reading.